Summer is H.E.R.E. Today we celebrate the summer solstice, the “longest day” of the year. Many of your children are now on summer vacation. I am sure there will be plenty of pool parties, beach trips and trips to the park. How are you entertaining them during these long summer days and warm summer nights? There are so many options to keep little ones entertained. We thought it would be fun to share a few of the indoor and outdoor activities on our 2017 Summer Bucket list. We love books and when I see that my children love to read a story over and over again I try to bring it to life for them with a craft. This month’s favorite book is called “The Look and Tell Bible“. It is bright, vibrant and interactive. Definitely their favorite type of book. So we are going to explore the 7 days of creation with various crafts. We love simple and fun crafts. Here are some ideas that we plan to explore that are simple and fun. We love decorating on plates or may do a similar design on craft stock paper. Originally posted by Goldy Ladies blog. I came across a very similar idea when searching for baby shower games. I thought what a great and interactive way to practice the ABCs with my toddler. I took 26 card stock papers of the same size and wrote the ABCs on each paper. As we explore each letter we are drawing an object, animal, etc for that letter. Then my toddler is decorating each letter. She loves it. This craft looks so pretty and like a lot of fun for kids. I love when crafts use different types of textures that the little ones can explore. This craft is done with shaving cream. We love painting in our home and I love it even more when the painting can withstand the test of time. Here is a fun painting project with glue. The original post with all of the details can be found at Still Parenting. Keep painting, fresh fun and outside with this silly activity. You can use a spray bottle or even a squirt gun. I am sure the kids will love this. I have yet to meet a child that doesn’t love bubble, so how about some super sized bubble fun. 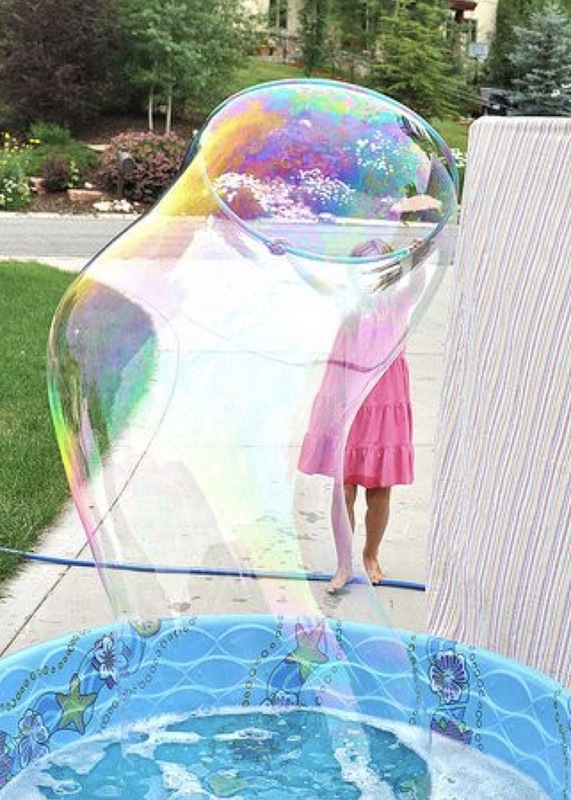 Click here to see the original post and get the formula to make some bubble magic. We have some very active toddler boys in our tribe of kids, so I am excited to try this type of obstacle course very soon. I will update this post when that happens. 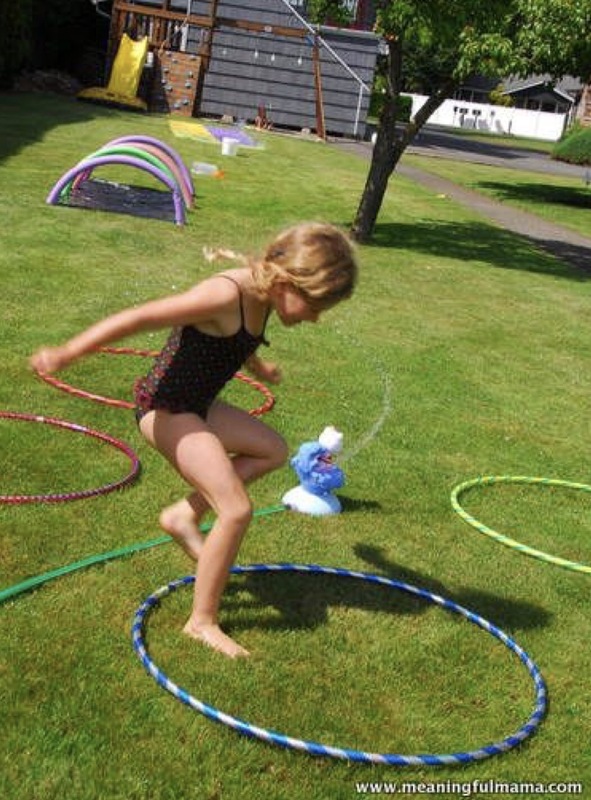 This fun activity could be done in your yard or at a park. 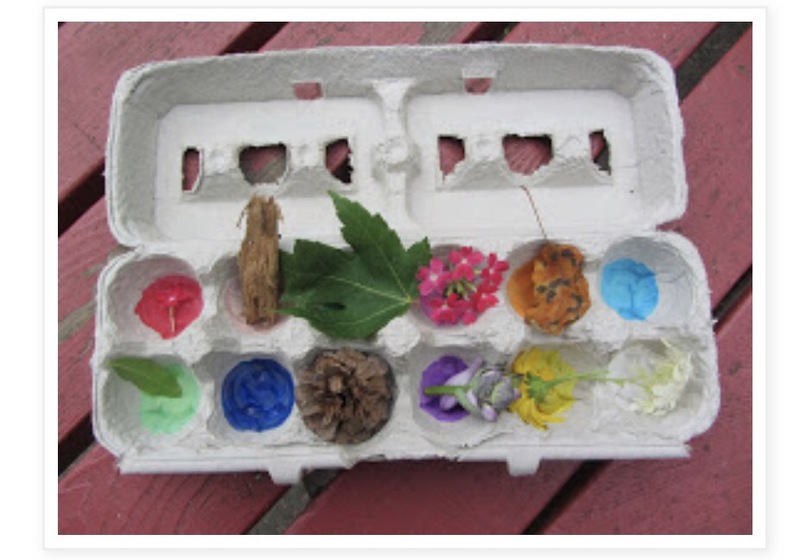 Fill up an egg carton (or add colors to a paper) and ask the children to gather items for each color. Very simple but tons of fun and busy time for the children. We would love to hear your ideas for entertaining the little ones this summer.